There are a couple of different ways to take this story. The most common response I have seen is to blame the employee who accidentally triggered the alarm, and to forgive the Governor his error because who could have guessed that something like this would happen? The second most common response I see is a certain shock that the key mouthpiece of the Governor in this situation is apparently Twitter. There is some merit to both of these lines of thought. 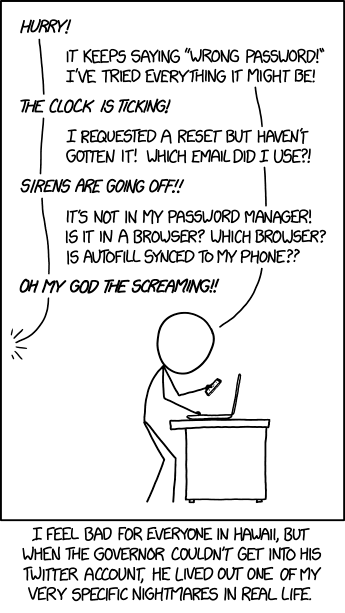 Considering them in turn: it is pretty unfortunate that some employee triggered a state of hysteria by pressing an incorrect button (or something to that effect). We always hope that people with great responsibilities act with extreme caution (like thermonuclear war). 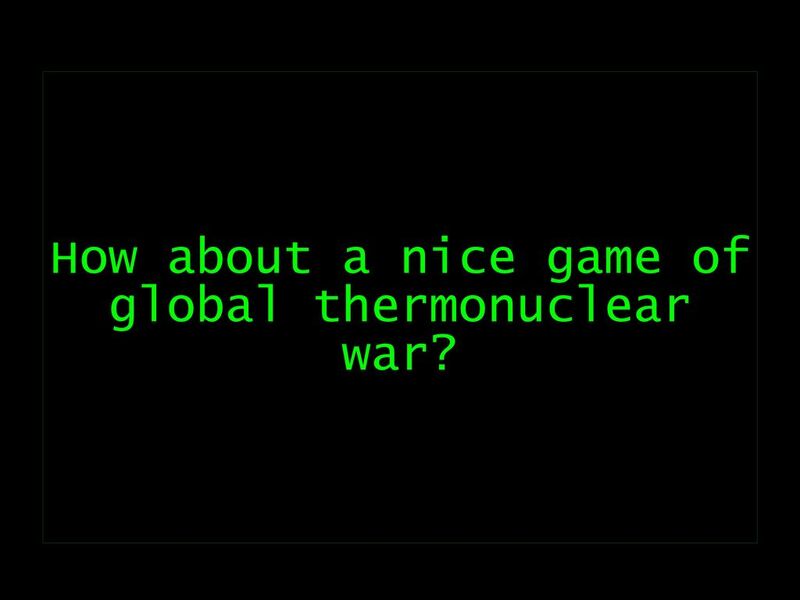 How about a nice game of global thermonuclear war? So certainly some blame should be placed on the employee.